Why do whales sing? Why do humans wail? From the very get go, Wail, originally commissioned three years ago now, provoked us to work in new ways as a company because one of the conditions of the brief was to collaborate with a scientist at Southampton University during the formation of the piece. We had no idea how this process would work, or indeed, what we would end up creating, but we quickly became fascinated by the subject matter. And, working with our on hand expert, Professor Paul White, who was always good humoured, was a joy, and frequently eye-opening, even if our questions only ever seemed to lead to more questions. Since then the show has grown, quite literally, in size (appropriately for its subject matter) and in length, into a full hour-long piece which we have performed in Edinburgh, London and, now, around the country. We love instruments and a lot of our ever-growing collection have found their way into the different songs. In fact it’s probably our most instrument heavy show containing a synth, double bass, shruti box, mandolin, glockenspiel, penny whistle, tom drum, timpani, cymbals, acoustic guitar, electric guitar and a pair of blue, plastic trombones. 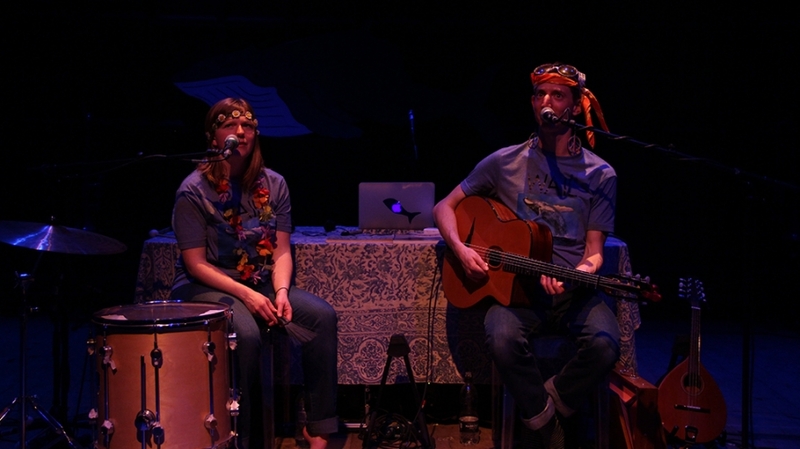 It’s fun to have so many instruments on stage and in the final song we run most of them through a loop pedal to create a soundscape homage to Whales and their song. In fact, the show as a whole is a very fun piece to perform, especially when the audience really get on board with the Whale singing (an interactive part of the show where we collectively make a ‘Male Wail Choir’), and it genuinely feels like people walk away knowing something they didn’t about the world before they walked in which, to me, is a lovely feeling. In fact I think that teaching the audience all the Whale sounds (with the help of 80s wigs, gaffa tape handle bar ‘taches and a flip chart) is my favourite part of the show, but I also love singing the ‘Song About Songs’, written by Dom (the other performer in the show) which he wrote in an attempt to commit to verse all the reasons why humans sing and, no matter how many times I sing it, I still find that a beautiful theme to meditate on. Especially when the rest of the show has been so fast paced and energetic, bringing it down to a calm place almost feels like being sung to sleep after a crazy day – I hope so anyway, I can’t speak for the people watching but that’s what it feels like to sing. 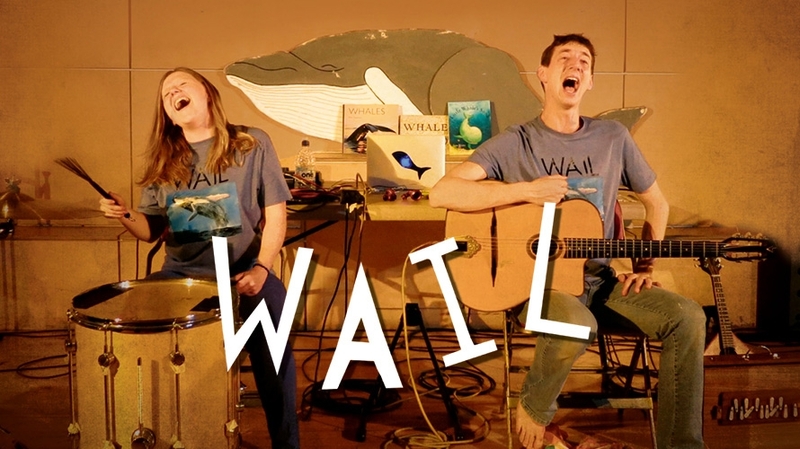 WAIL opens on Tuesday 28th March and runs until Saturday 01st April.